Do you live in University student accommodation? Then get fit, have fun and meet new friends with the ResLife Sports programme for free! Did you know that if you live in University student accommodation you are entitled to Sports and Wellbeing activities completely free of charge? 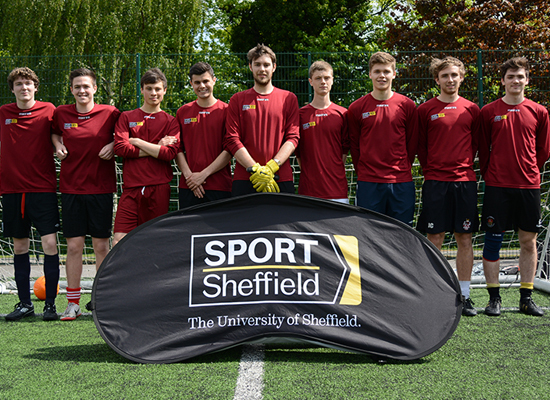 We at Sport Sheffield are proud to partner with Accommodation & Commercial Services (ACS) and The Students Union to bring you fantastic opportunities as part of Residence Life. Residence Sport has over the years evolved to become a fun and exciting Sports Programme which caters for lots of different interests. Whether you love the great outdoors, or you consider yourself more of a traditional sports kind of person, or perhaps you like to relax by doing a Yoga class once a week- we have it all covered. And the best thing about it? It is completely free of charge! You can now pick from 44 weekly Sports and Activities as well as some one off events. We even run a Stress Busters Programme during the exams so that you can keep your fitness levels up all year! 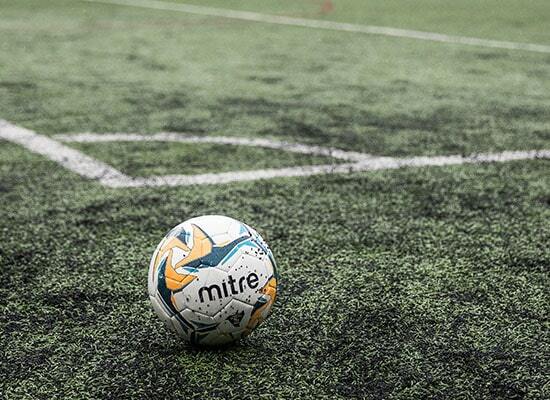 We utilize fantastic space on your doorstep at Ranmoor and Endcliffe and Allen Court for our fitness classes as well as Goodwin Sports Centre's excellent Sports Hall & world class pitches for our traditional Sports. It doesn't matter if you have never tried any of out sports or activities as all of the sessions are fun, informal, and a great place to make new friends. And who knows, maybe this will be just the beginning… you may find yourself playing more regularly and joining a sports club too! All you need to do is book on to a session and bring your residence Life Card. Click here for our activities calendar. 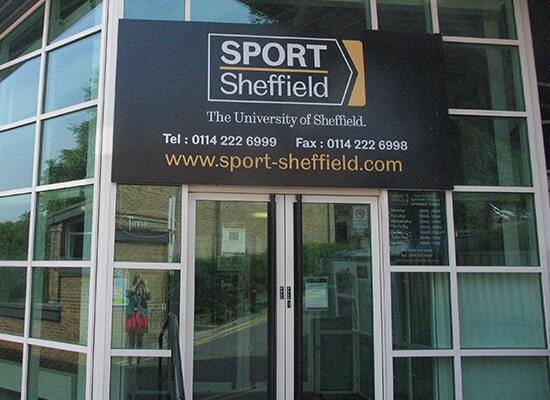 Your Residence Life Card gives you access to the S10 Gym at Goodwin Sports Centre. Qualified instructors are available to provide help and support. The classes will focus on combining yoga and mindfulness in order to relax your body and mind. It will teach you skills to develop stillness using a variety of techniques including breathing and body awareness led by our instructor. The classes are geared towards helping you switch off or unplug from your hectic routine and will provide you with lots of advice and tips to use throughout your week. The aim is to allow you to control your mind so it doesn't control you. Yoga is a physical and mental exercise that allows you to combat the feelings of stress by allowing you to concentrate on your breathing and gently stretch to release any stored up tension. Our experienced and qualified instructor will take you through the correct techniques and show you how to use yoga to improve your well-being. Led by our fantastic Student Sport Leaders the sessions consist of pad work, conditioning exercises and boxing technique drills in the company of other students. The session is a great way for increasing your fitness, boxing skill level and introducing you to the sport of boxing if you have never tried it before. Have you never played lacrosse before? Now is your chance to try it completely free of charge! Lacrosse is played with a stick, the crosse, which must be mastered by the player to throw, catch and scoop the ball. But don’t worry, our friendly student leaders will show you all you need to know to get involved in this exhilarating sport. Pilates aims to strengthen the body in an even way, with particular emphasis on core strength to improve general fitness and well-being. Our instructor will lead you through the class teaching you the correct technique and breathing and ensuring you leave feeling recharged and refreshed. Come and party yourself into shape with our free weekly Zumba class! Our qualified instructor will take your through some of the most popular routines and will show you why Zumba is more than just a workout. Every week at Goodwin Sports Centre our fun and friendly Social Sports Leaders will lead you through a fitness class to improve your health, increase your strength, fitness and general well-being. If you've always wanted to learn to ride a bike or if it's been a while since you've ridden one head down to a session with Pedal Ready for some expert advice. Booking is essential and can be done either online at admin@pedalready.co.uk or by phone on (0114) 2412775. High intensity interval training, or HIIT, is a training technique in which you go all-out, with 100% effort with quick, intense bursts of exercise, followed by short recovery periods. Our instructor will get your heart rate and breathing up whilst making sure you know exactly what you're doing. If you are considering stepping out and taking up running for the first time, then we've got the perfect opportunity to kick-start your journey! This session is designed to help beginners increase their running in a fun and safe way with a goal of completing a 5km run at the end of the programme with full support and guidance from our Run Leaders. Have you heard of spin? Spin is a great way of getting fit. 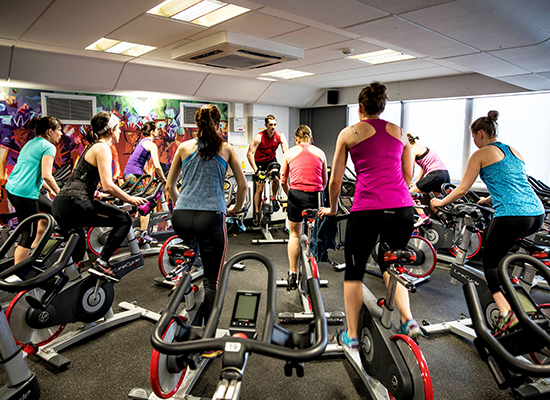 It’s an indoor cycling session, so you get the benefits of being on the bike even if the weather is not great! Spin is done to music and includes warm up, sprints, climbs, cadences and cool down. 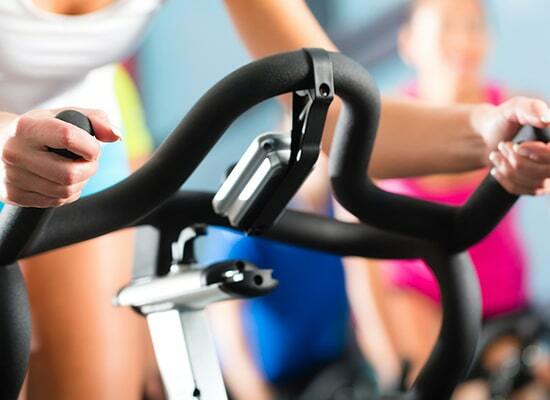 You control the resistance on your bike so that you can spin no matter what your fitness level is! Have you ever been interested in trying out boxing but not had the opportunity? Now you can! 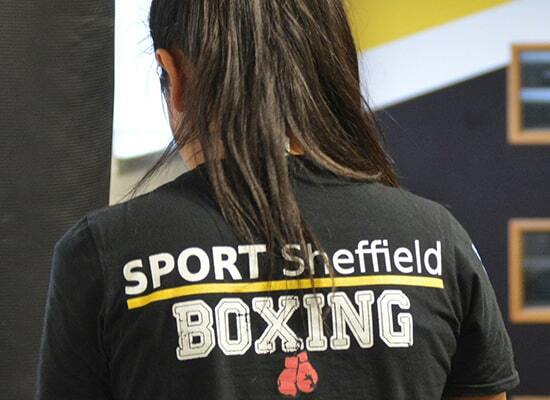 The session is for women only and consists of pad work, conditioning exercises and boxing technique drills in the company of other students, supervised by our fantastic Student Sport Leaders. The session is ideal for improving your fitness and boxing skill whilst introducing you to the sport of boxing if you have never tried it before. Table tennis is not only fun but good for your health too - it's great for working up a sweat and getting your heart rate up. Just a couple of hours a week hitting that little white ball around can do wonders for your fitness. Our weekly netball session is for male or female students to play in a fun, social and non-competitive environment. The session will be led by experienced sports leaders who will help you to develop new skills, improve fitness and enjoy the game. The session is available to all students of all abilities. Ultimate Frisbee is a fast-moving team sport enjoyed by hundreds of thousands of players. Although it is frequently compared to sports like Soccer or American football, ultimate frisbee has some unique features that set it apart. There are no referees and it’s played with a flying disc. Come and try our rugby session without any of the contact. Touch is a non-contact version of rugby so you get the benefits and fun of playing the sport but without the impact. Our women’s football session is for female students to participate in football regularly in a fun, social and non-competitive environment. The session will be led by experienced sports leaders who will help you to develop new skills, improve fitness and enjoy the game. The session is available to students of all abilities. This weekly session will help you understand the basics of self-defence. Our qualified instructor will take you through practical elements of blocking techniques, defences and strikes as well as how to diffuse difficult situations and confrontations within a friendly and encouraging environment. No experience needed. Getting fit has never been easier! The class consists of general conditioning with elements of LBT, cardio, pilates and many more. Our qualified and experienced instructor will explain the basics of correct technique and will take your through a general workout. This hockey session is for students who want to try the game or play regularly in a safe, non-competitive and social environment. Hockey is a sport in which two teams play against each other by trying to manoeuvre a ball into the opponent's goal using a hockey stick. So come down and try this fun game for yourself! Our weekly volleyball session will give you an opportunity to learn the basics so that you can enjoy playing this fun game. All abilities welcome. Every Friday night you can use Goodwin Sports Centres pool for free! The indoor heated pool is 33m long with slow, medium and fast lanes for you to choose from, and there is a sauna and steam room for you to use. Swimming is a non-impact activity that is good for your body and mind. It improves your fitness, builds your strength and clears your mind. Have you wanted to play squash before but never had the opportunity? Now you do! The rules are simple, you play in a four-walled court by hitting a small rubber ball against a wall and it’s as easy as that. You can play either in pairs (singles), or you can have up to four players (doubles). Bouldering is a form of climbing without the use of ropes with thick mats on the ground to catch you. It is a great way to build your climbing skill and strength as it uses more technical principles of climbing and it allows you to practise moves whilst being at a safe distance from the ground. We run sessions for beginners and intermediate climbers. Park Run is a free, weekly 5km timed run that takes place all around the world. It is open to everyone, it is safe and easy to take part in whilst also being a great way to socialise alongside maintaining and developing your fitness. You can register online for free at https://www.parkrun.org.uk/register/ if you want to have your time sent to you at the end, if not just turn up and run. Dodgeball is a fun and social game that is a must for you to try! Whether you want to just try something new, increase your activity level in a non-traditional way or throw some balls at your mates, come down to our weekly free session and give it a shot. If you want to do something fun whilst getting fit and healthy in the process, basketball might just be the thing for you! Our designated women’s basketball session is led by student leaders who are happy to show you the basics of basketball in a social and fun environment. All abilities are welcome. Futsal is played with a smaller, less bouncy ball than regular football, with emphasis on flair, creativity, skill and technique. This fast-paced session is sure to develop your footwork, skill level, agility, reactions and coordination in a friendly and welcoming environment. All students of all abilities are welcome. This designated session is for male students to play basketball in a fun, social and non-competitive environment. The session will be led by experienced sports leaders who will help you to develop new skills, improve fitness and enjoy the game. The session is available to all students of all abilities. Do you love playing badminton but don’t want to commit to a team? Our session might be the perfect thing for you! The session will be led by experienced sports leaders who will help you develop new skills, improve fitness and enjoy the game. The session is available to all students of all abilities. Have you ever considered playing football before but not had the opportunity or are you returning to it after some time away? This session is for men only and is run by our fun and friendly leaders who will help with your knowledge of the game, teach you ball skills and improve fitness with some friendly non-competitive games thrown in.